I've been breaking in my diary for 2014, decluttering and organising my iPhone and iPad, getting ready for the New Year. In the light of the Digital Dark Ages, I've removed a lot of the apps I used to enjoy. Who wants to tell Big Brother what they dream of, how many rolls of toilet tissue they buy, or how many hours they slept? Instead I've got a new combination of notebooks to keep myself organised. One large for my desk, and one small and portable. Both with pages in different colours that will help me sort tasks, dreams and plans into different sections. And it's a pleasure. The tactile feeling of pen to paper. The turning of pages. The time away from my devices. There are two astronauts standing right in front of me, just as I step round the corner. I catch a few snapshots. This is in the middle of town, with skyscrapers in the background. It's a Thursday afternoon, a pocket of time between meeting a client, and picking up a few groceries at the market. A short rise in the tide of my creative cycle. I'm glad the logo for what ever the astronauts are advertising, doesn't show up in my photos, and I'm happy I got a splash of creative time on the go, just for myself. Sometimes we want to paint an image we have in our head. With words or paint or textile or sounds. Perhaps it's a memory. Or a fantasy. A dream or an emotion. Other times we want to go with what comes to us spontaneously, the image simply takes place. Perhaps we uncover it, or we see it. In a way our creation can be a discovery? And creative expression can feel like one small step, and a giant leap. A kind of miracle. 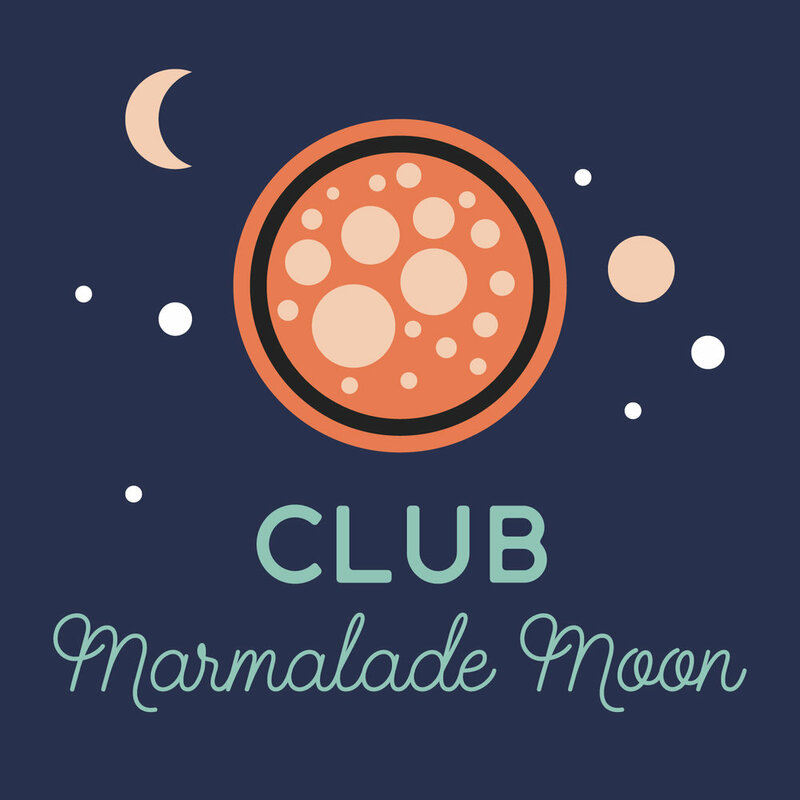 I've temporarily opened my archive of folder icons to members of Club Marmalade Moon. Membership is free, so if you're not already a member, you'll need to sign up to make sure you get all of these free, beautiful, desktop icons to help you get unstuck and organised so you can work with flow and ease through the day. 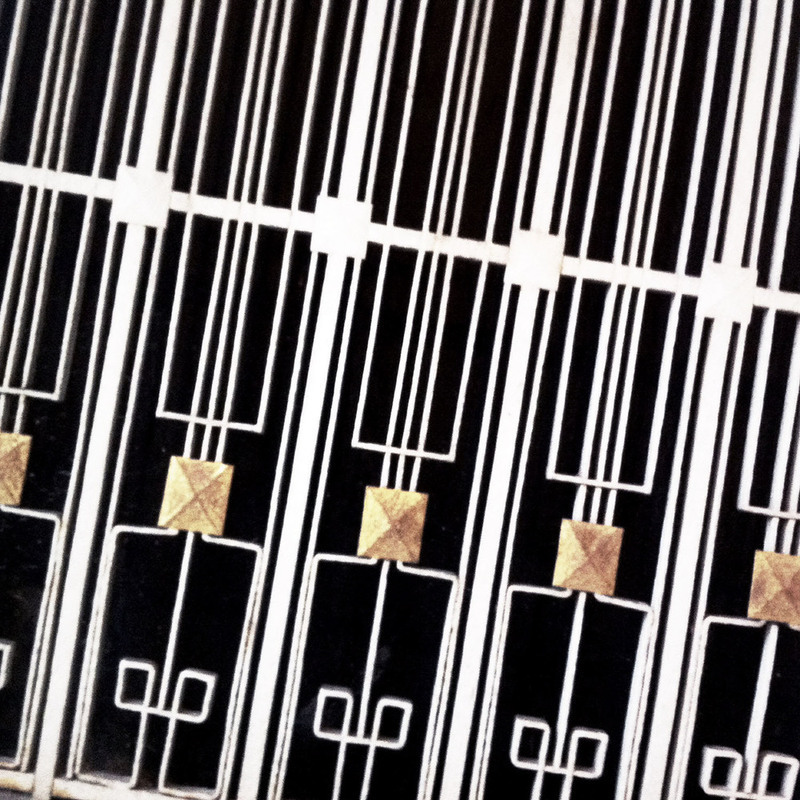 Start your digital new year more efficiently and in style. Please note, access to the archive is time limited. The Christmases of my childhood are wrapped up in a sense of wonder and magic. Surprise and delight. Sparkling snow and glittering stars. A time when you can wish for anything. A time for love. A time to be together. As an adult, I find a sense of wonder and magic in the creative process. Maybe that's why we find creativity so alluring? It feels like magic when we're struck with inspiration? And when we start looking at our worlds through a creative lens, we can find mindful miracles even in the most mundane? Of course we have to do our bit too, and show up so we're actually there when the muse arrives and knocks on our doors. If you know someone who wants to find the time, space and encouragement to ignite their creative spark, now you can give them a creative experience. 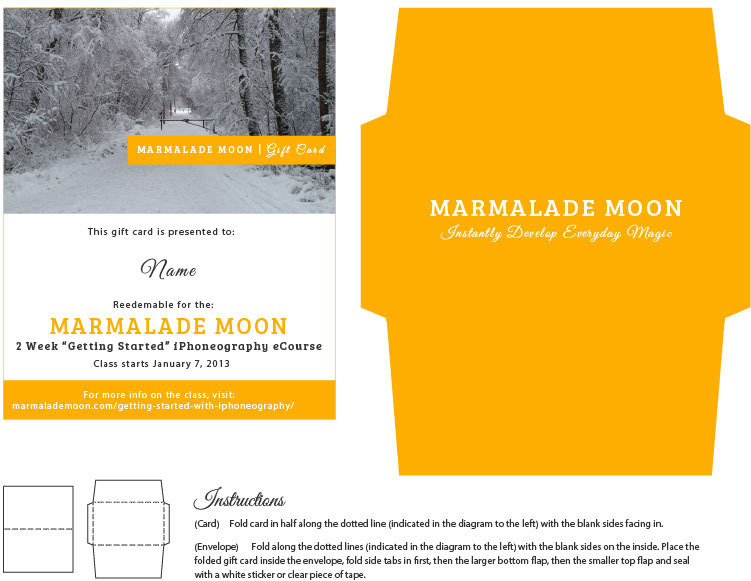 A pretty gift certificate and envelope comes with every gift purchase, so you can print it out and wrap it up. These would be extra special if you gave them with a blank notebook and a pen for keeping an iPhoneography journal. Imagine! Drinking tea and laughing. Geeking out, testing settings and photo apps, experimenting to see which camera app would perform best on a dark winter's afternoon. Anne and I just met for an iPhoneography mentoring session, and since she lives in Stockholm we could meet in person. We took a closer look at some apps for creating mobile art and photography and talked about Anne's new, exciting iPhoneography projects. The mentoring process that's part of the Creative iPhoneograpy Course is a component that helps you bring your newfound creative discoveries into your daily life, and prevent it from being a course that quietly fizzles out after you've completed it. During the mentoring process, you get individual support and help with your own creative iPhoneography projects. Another beautiful aspect of the course is the diverse, international community of like-minded people connecting around creative discoveries. Between your own findings, the group component and the individual, personal mentoring phase you have several routes for developing your creative thinking, growing your iPhoneography skills and building momentum expressing yourself. Students are spread out all over the world, and because of the distances, we usually we do our mentoring sessions as a free internet call with Skype. Speaking of which, it's soon time to meet Jen for her mentoring session, I can't wait to hear where she is in her creative process!